Now there’s a far more effective way to look after your Canon devices. eMaintenance automates many of the time-consuming tasks needed to administer network devices, leaving you free to focus on other, more pressing activities. Instead of recording meter readings every month or using estimates that must be reconciled further down the line, eMaintenance automates the entire process for you. Adhering to the strictest security protocols, eMaintenance passes the relevant information directly to your service provider across the internet, with no administrative involvement whatsoever. 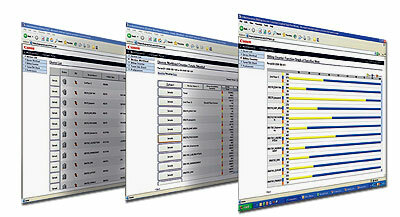 eMaintenance uses Canon’s Remote Diagnostics to keep a close watch over all your networked Canon devices. If a fault occurs or a device is not performing to pre-determined standards, we are instantly and automatically informed by email. This ensures a fast response - either a call from our product expert or a visit from a technician - and maximises device uptime. eMaintenance automatically assesses when toner levels are running low and places a re-order request directly with the relevant service centre. This means no more frustrations caused by lack of toner and no more stockpiling. The eMaintenance software is designed for Canon multifunctional products but also works with selected non-Canon devices, for more information, contact us. eMaintenance means less time ordering toner, less time querying invoices and much higher device productivity.